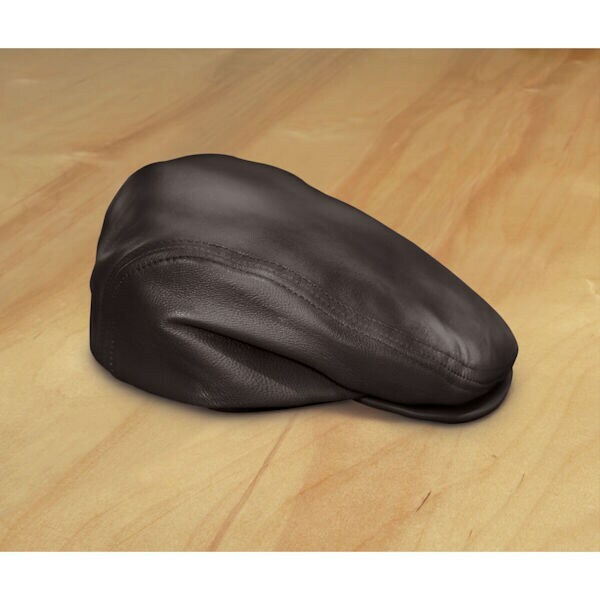 The classic three-point ivy cap, crafted in Nappa lambskin and lined with satin. Cotton sweatband, single snap closure. From a family-owned company based in New York. Specify Brown or Black. M-XXL.